Throwing caution to the wind about whether the unit was still working … they rustled up a creamy waffled batter in no time and plugged in the waffle maker. Low and behold, our 15 year old appliance fired up with perfect efficiency and in no time my baby girl was by my side with a slice of waffle, topped with ice-cream and banana which she prepared herself. Here’s some pictures of the wafflicious time they had in the kitchen. I was in a rush from work long after sunset today and stopped by my local Spar to grab some foodstuff. 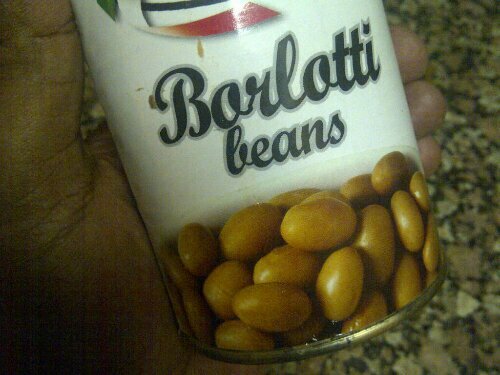 One of the items was a can of Borlotti beans. It was the first time I tried this bean and boy did it turn out to be a good choice. After preparing in with some braised lamb, I recognised its distinct delicious, velvety taste. It was what people of Indian descent know as gadra beans. The fact that it was canned actually enhanced the creamy, nutty flavour.This is definitely going to be a regular item in our pantry from now on. I would love to hear your thoughts if you have tried this before. The are few places that is so culturally rich as is Malaysia. We absolutely loved the country.